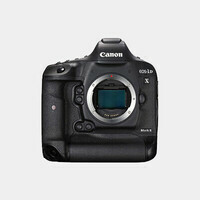 The Canon T6i incorporates a number of advanced features in a compact body. 24.2 MP, full 1080p HD video with full-time autofocus & more. A full-frame camera Featuring a 50.6MP CMOS sensor, 61-point AF and advanced video capabilities. 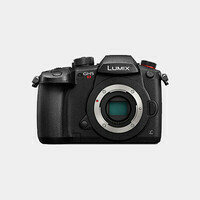 A full-frame camera Featuring a 50.6MP CMOS sensor, 61-point AF and advanced video capabilities. There is no low-pass filter on this model. The EOS R pairs a redeveloped lens mount and updated full-frame image sensor for a unique and sophisticated multimedia camera system. Compact and lightweight, the 5D Mark III provides 22.3MP DSLR featuring exceptional still image and movie recording capabilities. This camera features an improved 20-megapixel CMOS sensor, Wi-Fi, improved ISO capabilities, full HD video recording & more. 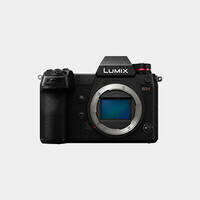 An upgraded full-frame camera featuring a 30.4MP CMOS sensor and 4K video recording. 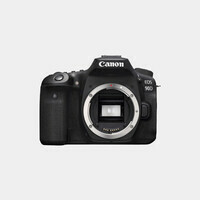 The Canon T7i incorporates a number of advanced features in a compact body. 24.2 MP, full 1080p HD video with full-time autofocus & more. 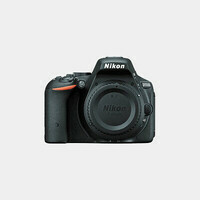 A full-frame 20.2MP DSLR featuring an 11-point autofocus system, Full HD video recording, Built-in Wi-Fi and GPS. 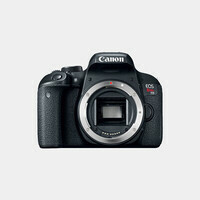 A full-frame 26.2MP DSLR featuring a 45-point autofocus system, Full HD video recording, Built-in Wi-Fi and GPS. Designed for speed, the Canon EOS 7D Mark II is a high-performance digital SLR, that features 20.2MP, Full HD video recording & more. 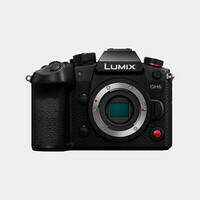 A full-frame camera featuring a 30.4MP CMOS sensor and 4K video recording. Canon Log pre-installed. 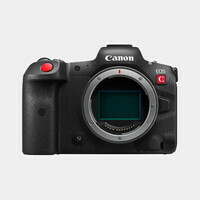 A full-frame DSLR designed for the unique demands of the motion picture industry it is able able to record stills, Full HD and 4K Video. 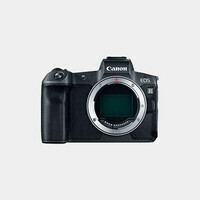 A 21.5 megapixel full-frame camera designed with the professional shooter in mind. Also features 4K video recording. This camera features an improved 24-megapixel CMOS sensor, Wi-Fi, improved ISO capabilities, full HD video recording & more. A 24.2-megapixel camera with 51 auto focus points, magnesium alloy body, 7 fps continuous shooting, 3" LCD, full HD video recording & more. A ruggedly constructed 45.7 MP FX-format mirrorless camera capable of producing still images and 4K UHD Video Recording at 30 fps. The flagship model in Nikon's DSLR lineup, the D5 features 12 fps continuous shooting, 153-point AF system and 4K video recording at 30 fps. A crop DSLR camera featuring a 20.9MP CMOS sensor in a very compact form-factor. 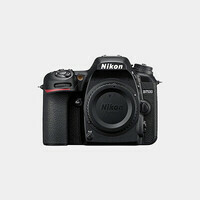 A full-frame DSLR camera featuring a 24.3MP CMOS sensor in a very compact form-factor. 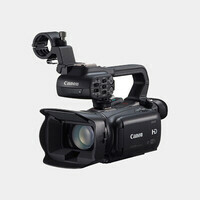 A ruggedly constructed 36.3 MP FX-format camera capable of producing still images and broadcast-quality video. 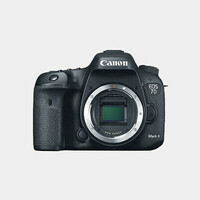 A 24.3MP FX-format camera capable of producing still images and full HD 1080p/60 video recording. 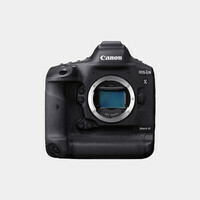 A ruggedly constructed 45.7 MP FX-format camera capable of producing still images and 4K UHD Video Recording at 30 fps. A 20.9 megapixel camera with 51 auto focus points, magnesium alloy body, 8 fps continuous shooting, 3" LCD, full 4k video recording & more. A small camera body featuring a wide array of professional features including a 24.2MP CMOS sensor & 1080p video with full-time auto focus. 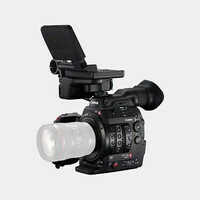 An HD compact camcorder suitable for ENG, event coverage or documentary filmmaking. It features SDI, mini-HDMI, and composite outputs. 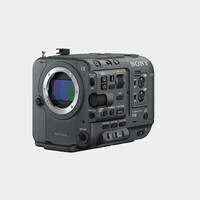 A compact, ergonomic camera featuring UHD 4K capture, a 1" CMOS sensor, two XLR audio inputs, HDMI 2.0 and 3G-SDI Output. A fully featured, ultra-compact video camera in a small form factor featuring SD/HD-SDI, HDMI and Composite output. 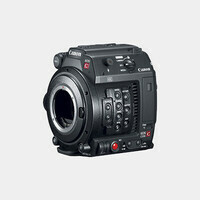 An EF-mount camera designed to meet the needs of cinema industry professionals featuring a Super 35mm CMOS. A fully featured, ultra-compact pro video camera in a small, run & gun form factor featuring SD/HD-SDI, HDMI and Composite output. 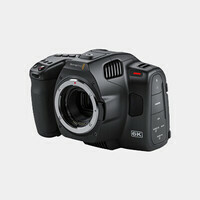 A video camera featuring a large Super 35 size sensor capable of delivering 4K and 1080HD footage. 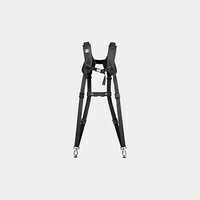 Compatible with EF lenses. 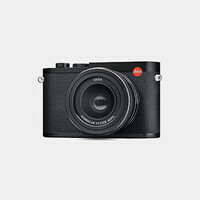 A compact camera optimized for run-and-gun and one-man-band style shooting. This model has been upgraded for Continuous AF/Dual Pixel AF. 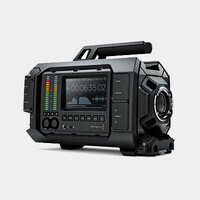 A camera designed to meet the needs of cinema industry professionals. This model has been upgraded for Continuous AF/Dual Pixel AF. 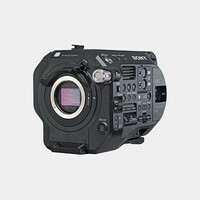 A video camera featuring a 2.5K Image Sensor capable of delivering full 12-bit RAW recording quality. 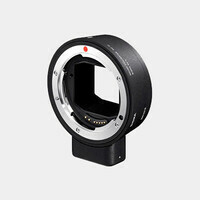 Compatible with EF lenses. 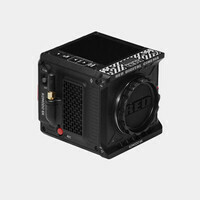 The RED RAVEN is an unprecedented 4.5K digital camera capable of capturing high resolution motion at up to 240 frames per second. 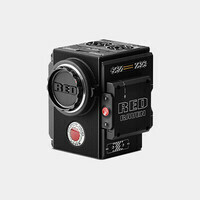 The SCARLET-X is capable of capturing 5K stills and 4K motion footage. Note: additional order verification required. 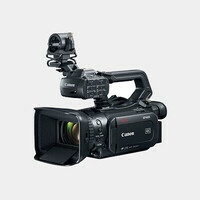 A highly modular, fully professional large-sensor video camera that is able to record bursts of super-slow motion video. 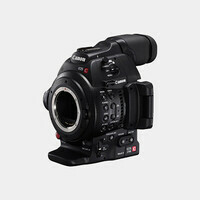 A flexible 4K camera system ideal for documentaries, commercial and corporate applications. A fully featured, ultra-compact camcorder capable of recording 4K video at 24 and 30 fps. Micro HDMI and Composite output. 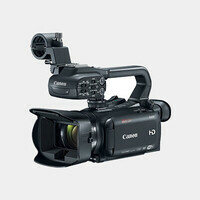 A versatile 4K camera system ideal for documentaries, commercial and corporate applications. A 4.6K video camera featuring a small form factor that is designed to make it flexible enough to use on productions of all sizes. 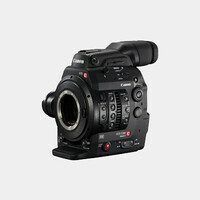 A 4K video camera featuring a form factor that is designed to make it flexible enough to use on productions of all sizes. 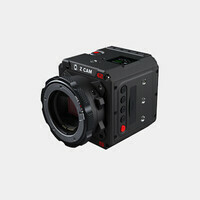 A 4K video camera featuring a small form factor that is designed to use on productions of all sizes. Compatible with Micro 4/3 lenses. A handheld video camera featuring 4K recording and a 3-Axis Gimbal Stabilizer. Canon's first mirrorless digital camera with an all-purpose wide-angle zoom lens suitable for both photo and video capture. 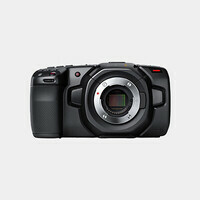 An unobtrusive point & shoot camera featuring a large 1" 20.2-megapixel High-Sensitivity CMOS sensor. 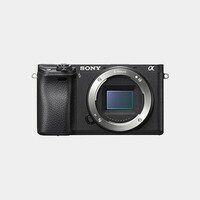 An advanced compact camera featuring a 12.8MP High-Sensitivity 1.5" CMOS sensor and a DIGIC 6 image processor. 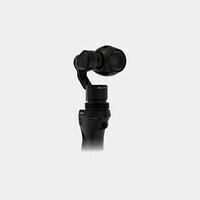 The HERO7 Black's HyperSmooth stabilization produces a gimbal-like flow without the added bulk of a gimbal. 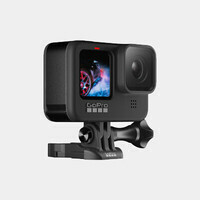 A wearable HD video/still camera capable of recording video up to 4K at 60 fps as well photos up to 12-Megapixel. 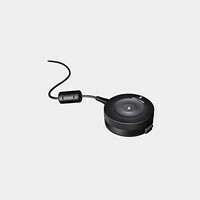 A waterproof 360 degree camera with 5.2K resolution featuring voice commands and wireless connectivity. The first high-end camera to harness the entire light field – to retain the richness and depth of a scene. 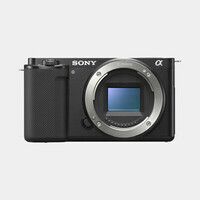 A compact camera that features features a 26.1 megapixel APS-C sensor and continuous shooting rate of 11 fps. 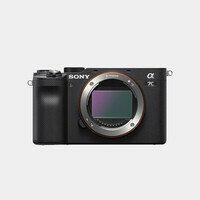 A compact camera that features features a 24.3 megapixel APS-C sensor and continuous shooting rate of 8 fps. 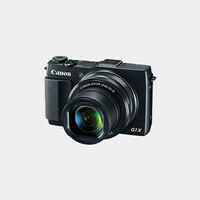 A compact camera that features a Hybrid Viewfinder, HD movie recording and improved manual focusing capabilities. A true hybrid camera designed for both professional photo and video use. 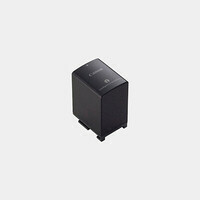 It can capture high-resolution stills as well as 4K video. A hybrid camera designed for both photo and video use. 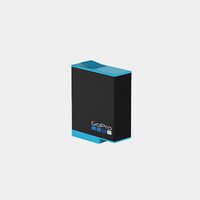 It can capture high-resolution stills as well as 4K video. Vlog Upgrade Installed. An advanced Four Thirds point-and-shoot with manual controls featuring a 24-75mm f/1.7-2.8 lens, a 12.8MP sensor and 4K video recording. A video-oriented upgrade to the original GH5 featuring improved 4K capture and a newly developed 10.28MP Digital Live MOS sensor. 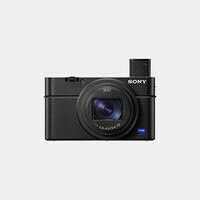 The Cyber-shot DSC-RX100 VI from Sony is a pocket-sized powerhouse, featuring a 20.1MP sensor and Full HD video recording at up to 960FPS. 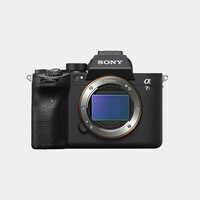 A Mirrorless Digital Camera featuring a full-frame 12.2MP Exmor CMOS sensor and advanced video features. A versatile APS-C-format mirrorless digital camera featuring a redeveloped 24.2MP Exmor CMOS sensor. An innovative compact camera that combines high image quality with the ever-present convenience and sharing capability of the smartphone. 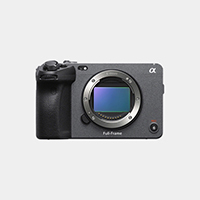 A versatile APS-C-format mirrorless digital camera featuring in-camera stabilization. 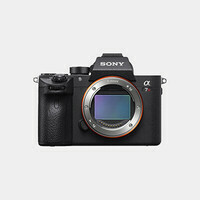 A Mirrorless Digital Camera featuring a full-frame 24.2MP Exmor RS stacked CMOS sensor and ultra-fast continuous shooting. A Full Frame compact mirrorless digital camera featuring a 42MP sensor. 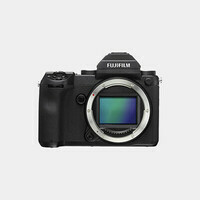 A Full Frame compact mirrorless digital camera featuring a 24MP sensor. 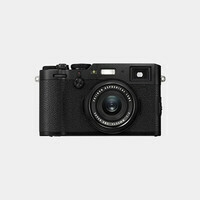 A Full Frame compact mirrorless digital camera featuring a 36.4MP sensor. A compact medium format camera that features a 51.4MP sensor, touchscreen LCD and extended sensitivity range of ISO 50-102400. 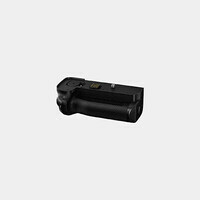 The Canon LP-E17 Rechargeable Battery Pack has a capacity of 1040mAh and is compatible with the Rebel T6i or T6s camera bodies. 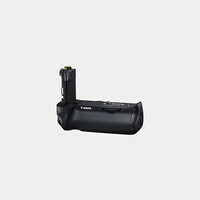 The Canon BG-E18 battery grip allows users to load one or two LP-E17 battery packs & provides vertical shooting controls. The Canon BG-E13 battery grip allows users to load one or two LP-E6 battery packs & provides vertical shooting controls on the 6D. 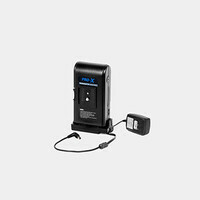 The Panasonic DMW-BGGH3 battery grip allows users to load an extra DMW-BLF19 battery pack & provides vertical shooting controls. The Canon LP-E6 Rechargeable Lithium-ion Battery Pack has a capacity of 1800mAh and is compatible with the Canon 80D, 7D, 5D Mark III & IV. 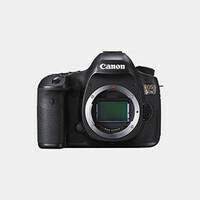 An AC adapter designed for use with the Canon EOS 60D, 5D Mark II, 5D Mark III and 7D Digital SLR cameras. 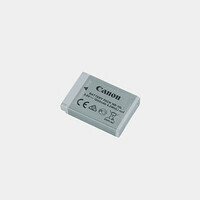 An AC adapter designed for use with the Canon T2i, T3i or T4i Digital SLR cameras. The Canon BG-E7 battery grip allows users to load one or two LP-E6 battery packs & provides vertical shooting controls. 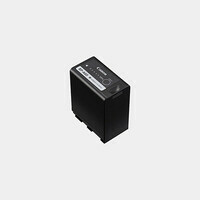 The Canon BP-828 Rechargeable Lithium-ion Battery Pack is compatible with the Canon XA10, XA20 and XA25 series camcorders. 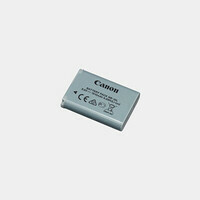 The Canon BP-975 is a high capacity (7350 mAh) battery designed for use with Canon's XF series professional camcorders. The Canon BG-E11 battery grip allows users to load one or two LP-E6 battery packs & provides vertical shooting controls on the 5D Mark III. 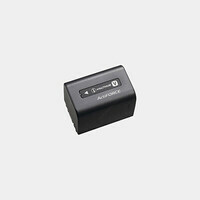 A battery pack designed for use with Canon's C300 Mark II series professional camcorders. 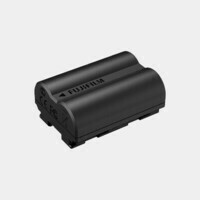 An extended battery pack designed for use with Canon's C300 Mark II series professional camcorders. 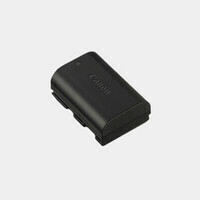 The Canon LP-E19 Rechargeable Lithium-ion Battery Pack is a high capacity battery compatible with the Canon EOS-1D X II camera. 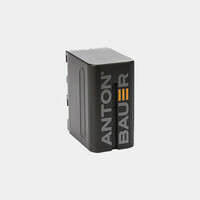 An AC adapter designed for use with the Canon EOS 1D Mark III, IV, EOS-1Ds Mark III, EOS-1Dx and EOS-1DC SLRs. The Canon BG-E20 battery grip allows users to load one or two LP-E6 battery packs & provides vertical shooting controls on the 5D Mark IV. The Canon LP-E4N Rechargeable Lithium-ion Battery Pack is a high capacity battery compatible with the Canon EOS-1D X camera. The Canon BG-E14 battery grip allows users to load one or two LP-E6 battery packs & provides vertical shooting controls on the Canon 70D. 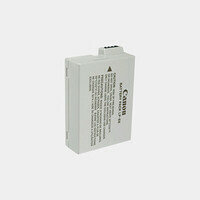 A battery pack designed for use with Canon's XF series professional camcorders. It features 4 LED lights to display the remaining life. The Canon BG-E21 battery grip allows users to load one or two LP-E6 battery packs & provides vertical shooting controls on the 6D Mark II. 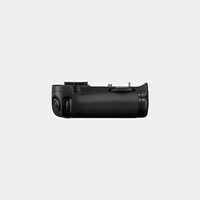 The Panasonic DMW-BGGH5 battery grip allows users to load an extra DMW-BLF19 battery pack & provides vertical shooting controls. The Canon BG-E14 battery grip allows users to load one or two LP-E6N batteries & provides vertical shooting controls on the Canon 7D Mk II. 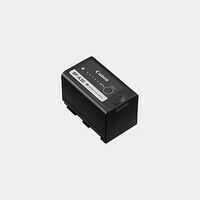 The Canon BP-820 Rechargeable Lithium-ion Battery Pack is compatible with the Canon XA10, XA20 and XA25 series camcorders. 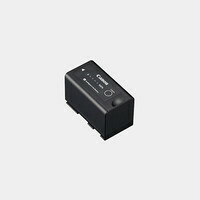 The Canon NB-12L Rechargeable Battery Pack has a capacity of 1910 mAh and is compatible with the Canon PowerShot G1 X Mk II. 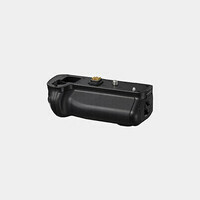 The Canon NB-13L Rechargeable Battery Pack has a capacity of 1250 mAh and is compatible with the Canon PowerShot G7X. 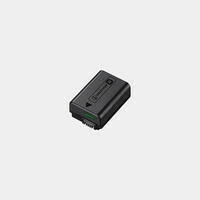 The Canon LP-E8 Rechargeable Battery Pack has a capacity of 1120mAh and is compatible with the Rebel T2i, T3i or T4i camera bodies. 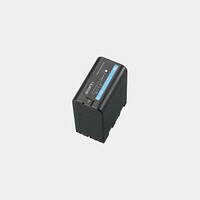 An AC adapter designed for use with Nikon cameras compatible with the EN-EL15 battery. 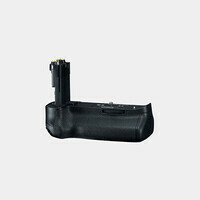 The MB-D14 Grip allows the Nikon D600 to be powered by two EN-EL15 batteries simultaneously. The MB-D15 Grip allows the Nikon D7100 to be powered by two EN-EL15 batteries simultaneously. 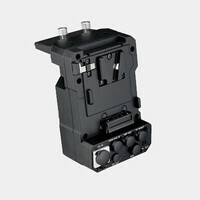 The MB-D10 Grip allows the Nikon D300s & D700 to be powered by two EN-EL3e batteries simultaneously. 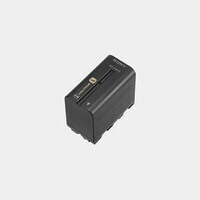 A battery for the Nikon D3200, D5500 and Df SLR Digital Cameras. 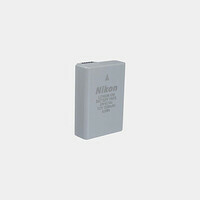 The Nikon EN-EL18 Battery is designed for the Nikon D4 DSLR and yields about 2600 shots per charge. 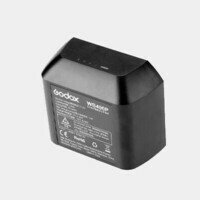 A rechargeable battery for the Nikon D7500, D500, D610, D750 & D850 cameras. The MB-D16 Grip allows the Nikon D750 to be powered by two EN-EL15 batteries simultaneously. 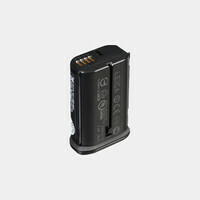 A Rechargeable Lithium-Ion Battery (1220mAh) for the HERO6 and HERO7 camera. 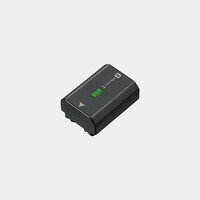 A Rechargeable Lithium-Ion Battery (2620 mAh) for the GoPro Fusion. 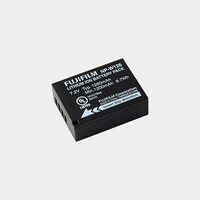 The Fujifilm NP-W126 Battery Pack is compatible with the X-Pro1, X-T1 and FinePix HS30EXR, HS33EXR. The VG-XT 1 Battery Grip for the Fuji X-T1 allows the user to hold the camera vertically with a more confident and comfortable grip. The VPB-XT2 Battery Grip for the Fuji X-T2 allows the user to hold the camera vertically with a more confident and comfortable grip. 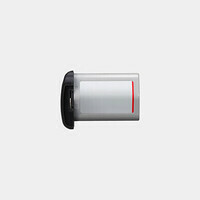 A 37Wh Rechargeable Li-ion Battery for powering a RED Scarlet camera. An AC adapter designed for use with the Panasonic GH4 camera. 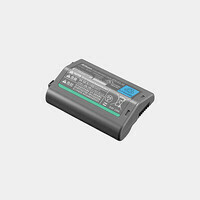 The Panasonic DMW-BLF19 Rechargeable Lithium-ion Battery Pack has a capacity of 1860mAh and is compatible with the Panasonic GH4 and GH5. 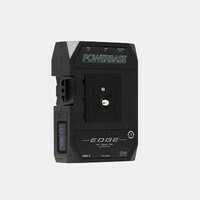 The Switronix Powerbase-70 is a V-Mount battery which provides a P-Tap connector to power additional devices. Charger is included. The Switronix Powerbase-70 Battery Pack for Blackmagic Cinema Camera will nearly quadruple the runtime of the camera's built-in battery. The Switronix Powerbase-70 Battery Pack for Panasonic GH3 / GH4 provides 6x More Power than the OEM Battery. 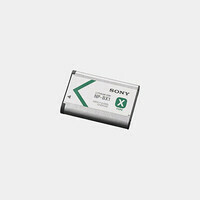 The Sony NP-BX1 Battery Pack is rated at 3.6V and features a capacity of 1240mAh. 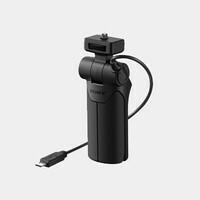 Compatible with the Sony DSC-RX100 VI. A battery grip that allows users to load one or two NP-FW50 batteries & provides vertical shooting controls on the Sony a7 II/a7R II/a7S II. The Sony BP-U60 is a high capacity battery designed for use with the Sony FS7 camera. A battery compatible with the Sony a9 Mirrorless Camera. 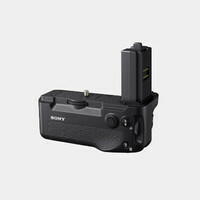 A battery for the Sony a7s, a7r and other compatible NEX cameras. 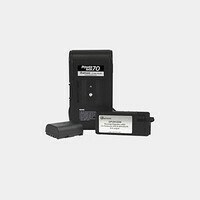 The Sony NP-FV70 Battery Pack is a high capacity (7350 mAh) battery designed for use with the Sony FDR-AX100 camcorder. A battery for the Sony FS700 and other Sony Handycam camcorders. A Rechargeable LiPo Battery (980mAh) for the Osmo handheld gimbal system. 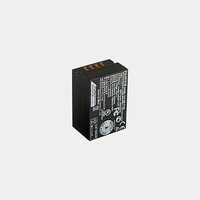 The 1580mAh DJI Intelligent Battery for Ronin-M is a compact LiPo battery designed specifically for the Ronin-M.